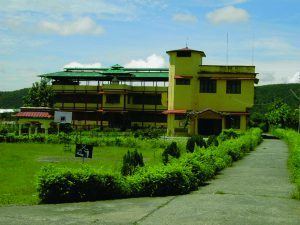 Ngoenga School for Tibetan Children with Special Needs in Dehradun was established with the seed money bestowed by H.H. the Dalai Lama. The School was inaugurated by H.E. Sakya Trizin Rinpoche on the 8th March 2000 and started off with 26 students. This is the one and only school for Tibetan children with special needs living in exile under the guidance of the Central Tibetan Administration. Today, the school accommodates fifty students aged between 6-14 years coming from Tibet, India, Nepal and Bhutan. All of them required both mental and physical needs. The aim of establishing this school is to provide education with health care and social support to the children with special needs. Keeping in view the health of children with special needs the school has been feeding them organic meals with non vegetarian items and fruits. Please log on www.ngoengaschool.org for more information. In addition to the children with special needs currently admitted in the Ngoenga school, people with special needs can also be found in various Tibetan settlements. They include children who are currently on the waiting list for admission in special school. There are others whose parents want to keep them at home with their family. In these cases, the Department provides them a monthly stipend through the settlement officer located across India, Nepal and Bhutan. The Department also provides aids and appliances like wheelchairs, crutches, hearing aids, etc., to all those who cannot afford them. Furthermore, the Department also provides assistance in the form of prosthetic medical allowances to all needy disabled people.